Mexican Tile Renew Sarasota Fl: Don't tear out your old Mexican Saltillo tiles rejuvenate with Mexican Tile Renew. 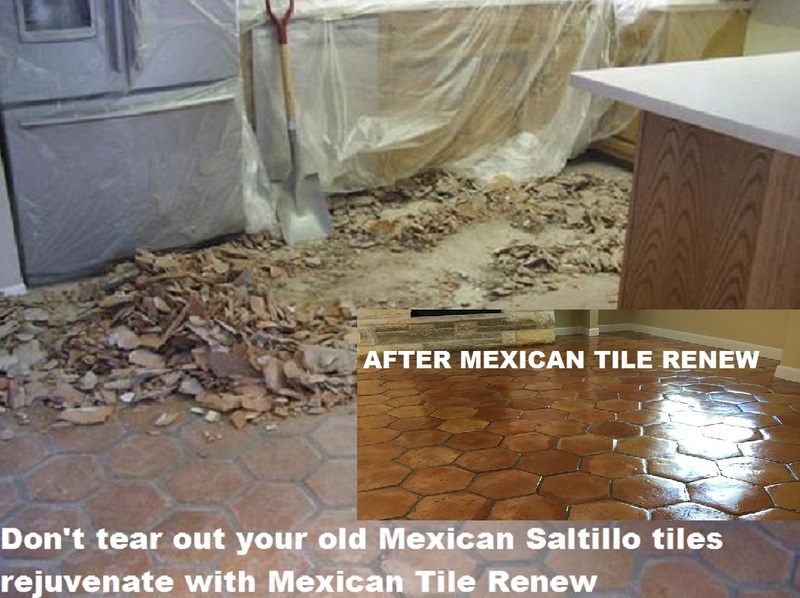 Don't tear out your old Mexican Saltillo tiles rejuvenate with Mexican Tile Renew. 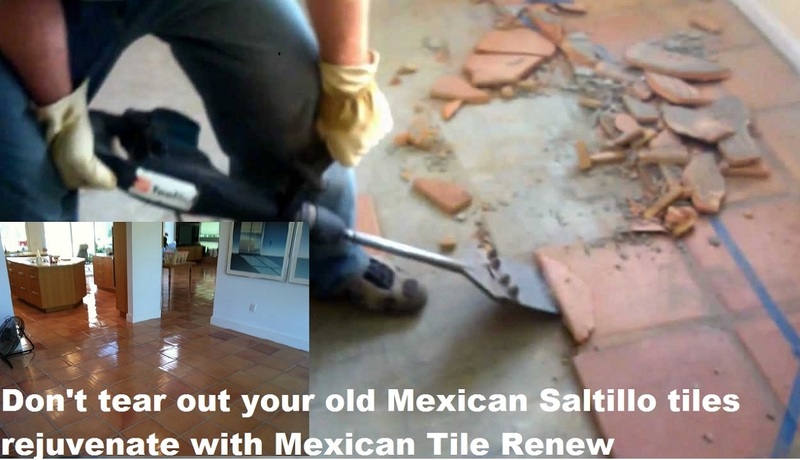 MEXICAN SALTILLO TILE: When people hate it there is only one way to approach this tile and is the most feared choice for the do it yourself homeowner or even the most experienced tile setters, is to tear out a Mexican tile installation. They just hate to remove Mexican Saltillo tile. The main reason it's that the Mexican Saltillo tile will crumble into small pieces making the task of removing this Mexican Saltillo tile even more difficult. 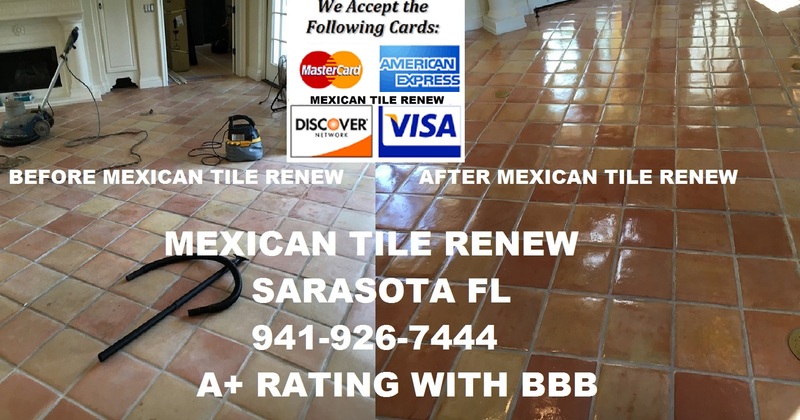 Another reason is it's weight, we are talking about 10 lb per Sq Ft plus the thick mortar bed and they normally use 1/2" grout lines filled in most cases with thinset or tile mortar, making Mexican Saltillo tile one of the hardest tiles there is to remove. 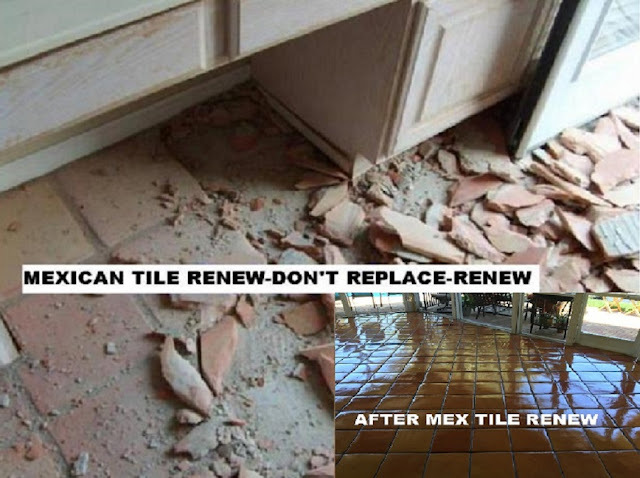 And finally the biggest reason is the cost of replacing the old Mexican Saltillo tiles which on average would cost about $12 per square foot to tear out and replace with another flooring product. Thus a small area of 300 square feet would cost about $3,600. Don't tear out your old Mexican Saltillo tiles rejuvenate with Mexican Tile Renew. 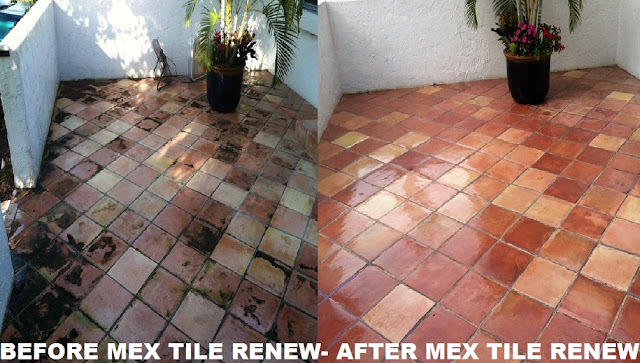 Labels: Don't tear out your old Mexican Saltillo tiles rejuvenate with Mexican Tile Renew.